Honey, I Shrunk The i45. 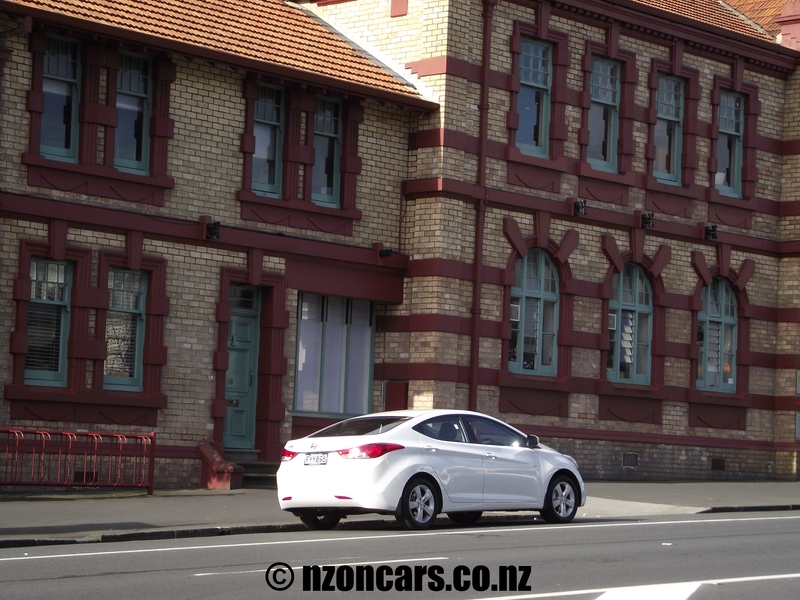 Hyundai’s Elantra was introduced in 1990, initially called the Lantra in this part of the world due to the confusion caused with the Australian built Mitsubishi Magna Elante. The second generation Lantra was launched locally in the mid 1990’s with a 1.6, 1.8 and later a 2.0 litre engine that proved to be a very popular car with fleet suppliers due to its reasonable price, cheap maintenance costs and reliability. Good examples of the Lantra can be bought at very affordable prices although they don’t quite tickle everyone’s fancy. I have been known to laugh at them myself and wonder how someone could bring themselves to buy one. In reality they aren’t all that bad. The '90's Lantra. Not everyones cup of tea. 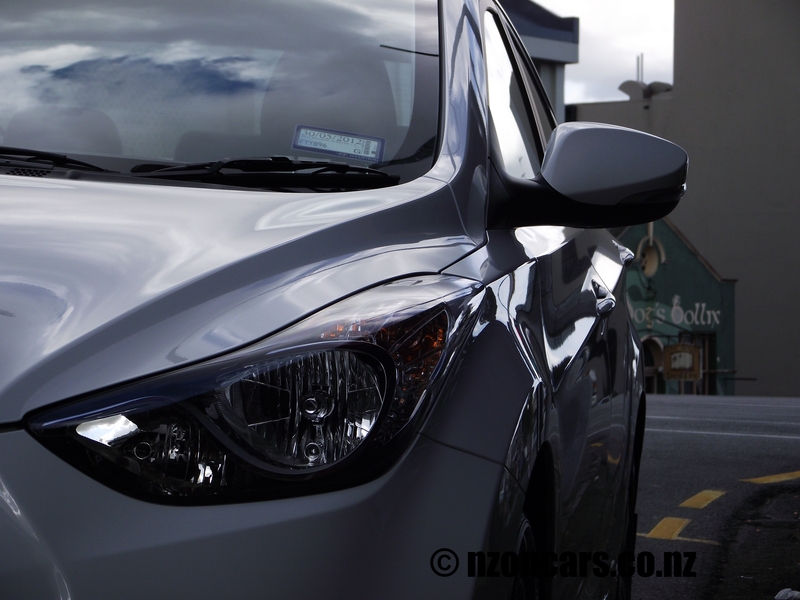 This new Elantra has followed the new design cue flooding through the Hyundai range, ‘fluidic sculpture’. 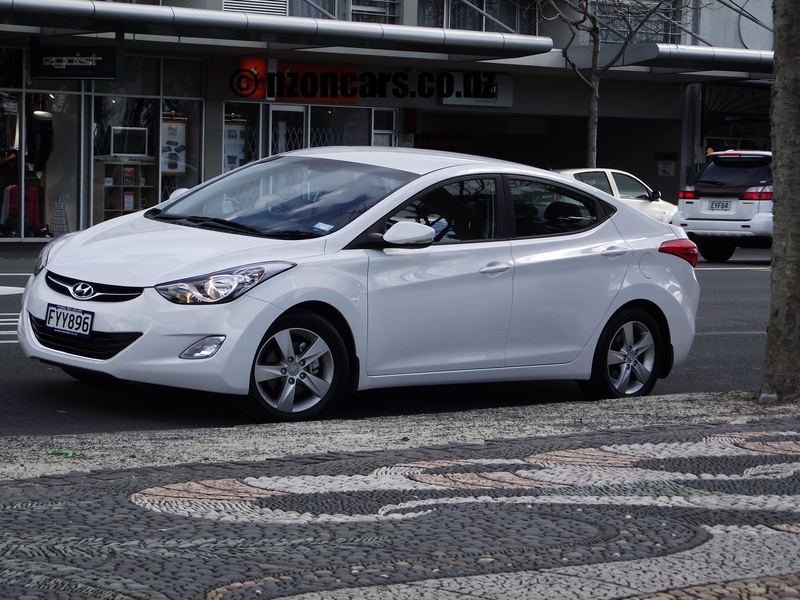 However, while it works extremely well for the i45, the smaller Elantra, whilst still looking very stylish, may not appeal to all. I for one am not a big fan of the bubbly headlights, but that is a personal preference. Those bubbly headlights are also more functional than simply illuminating the possum you’re about to run over as they help to move the air more efficiently around the sculptured body improving fuel efficiency adding to the coefficient drag of only 0.28. Speaking of economy, its peppy 1.8 litre engine achieves a planet saving 7.1 litres per 100 k’s (claimed) and a mere 170g per kilometre of CO2 emissions. That’ll keep the greenies smiling all the way to their next panda hugging, tree worshiping and tofu eating convention. Back to the looks: It’s sleek curves and swooping European style waistline certainly looks at home with the Ponsonby café set and the eye candy continues on the inside with smooth lines and good quality knobs and switches creating a very nice space. 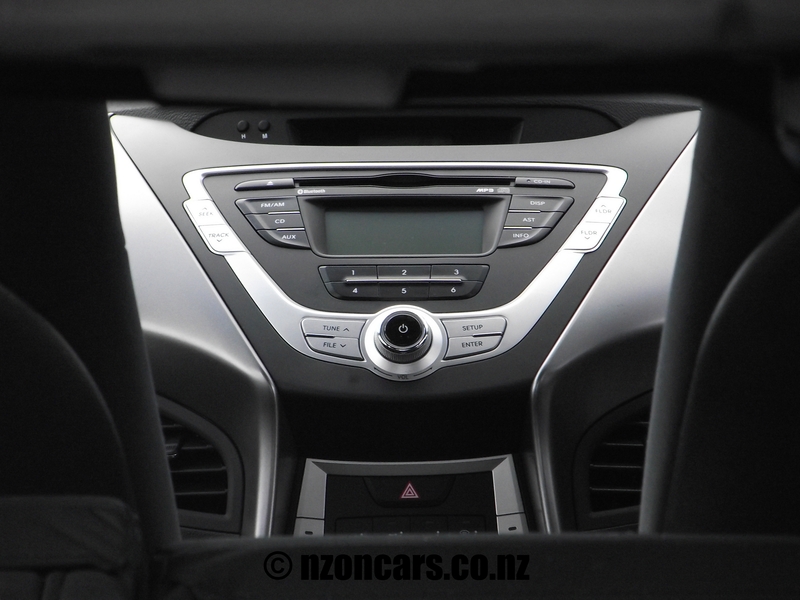 The innards are so spacious you would be forgiven for thinking you are sitting in a large, Australian built sedan. Rear leg room is enough for a basketball player and the kids car seats also fit in very easily. One thing to watch out for here is the wide opening doors, while very handy for moving the kids and car seats in and out it can be a bit awkward in a crowded shopping centre car park. The boot is big enough for said kids push chair, bag full of nappies etc and still room for bags of ‘Made In China’ from the store where everyone gets a bargain. The performance from the Elantra’s engine, mated to a superb 6-speed automatic gearbox with sequential shift, is incredibly responsive. Pushing this mid-size sedan through some twisty ‘B’ roads will have you grinning from ear to ear and feeling confidently safe as it flicks itself around tight bumpy corners with ease, almost no hint of understeer and no protest from the 205/55 R16 tires. Slipping the gear leaver into manual shift mode allows you to make the most of the 110 kilowatteges and 176Nm of torques. The only gripe I have with that is, in manual shift, the gear changes are awkwardly backward with pushing forward on the lever to change up and back to change down. It’s a more natural feel the other way around although you would get used to it over time. I hasten to add that this isn’t the only car that does this, many do, it’s kind of like most European cars having their indicators on the ‘wrong’ side. 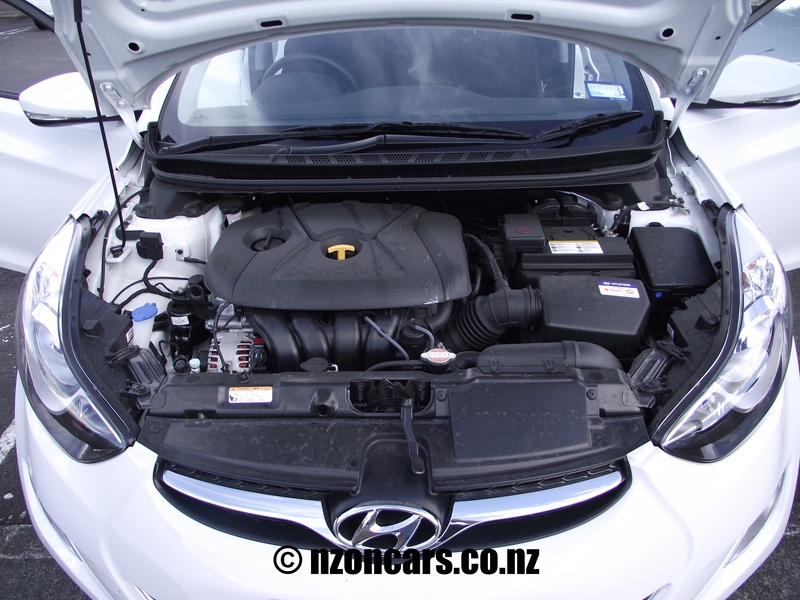 Hyundai's 1.8 Litre 110kW all-aluminium Nu engine. This example as tested was the base model Elantra 1.8 A6 that includes Bluetooth connectivity, driving lights, alloy wheels, trip computer and cruise control as standard. All that for $35,990 has to be great value. The Elite A6 adds leather 10 way electrically adjustable heated seats, leather door trims and centre console, proximity key, climate air, chrome door handles, 8” subwoofie and 215/45 R17 tires on alloy wheels for $39,990. The top spec Elite A6 Limited adds a sunroof at $41,990. All models are covered buy Hyundai’s 3 year/100,000k mechanical warranty including roadside assist and a 10 year/160,000k corrosion warranty. All round good value for a good all round car? – I’d say so! 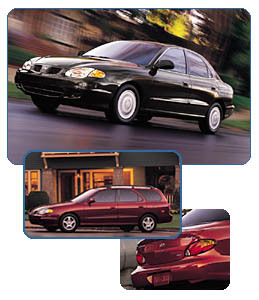 I think we’d all agree the Elantra’s come a long ways since the 90’s, but to be fair, there were a lot of ugly cars in the 90’s, and lots before that. How do you like the latest Hyundai SUV range Ken? totally agree, there were heaps of horrid cars in that era. 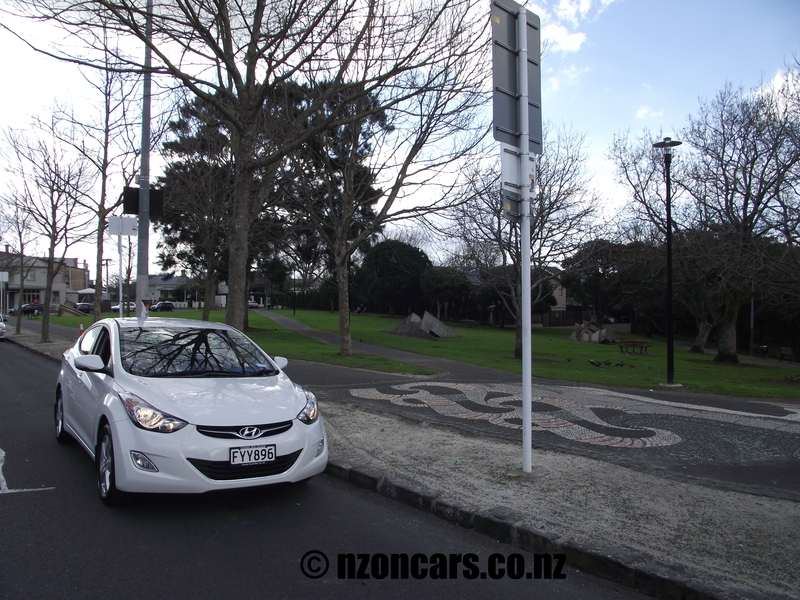 Love the ix35 that I drove recently, That write-up is on the site too.